If you are a fan of the huge variety of pokies, regardless of whether you prefer to play online or in a land-based venue, you are probably familiar with different pokies strategies which can potentially help you improve your play. First, it is worth mentioning that you should consider only strategies and advice aimed at helping you to improve your budget management skills, and not those that can supposedly help you predict hot and cold pokies cycles. So, here we will take a look at the “chickens” strategy, and its variation, “the squirrel”, and explore whether they are a good strategy choice for pokies players. 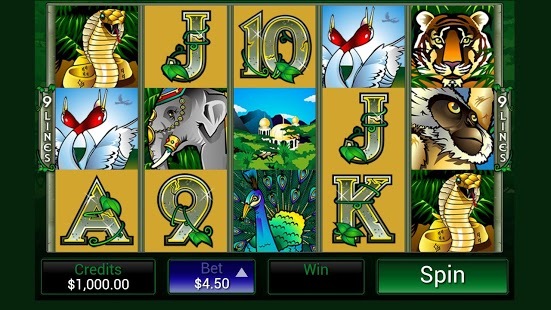 Generally, the “chickens” strategy is quite popular among the players who like enjoying themselves with the pokies and its casinos offer. The “chickens” strategy was developed for the benefit of players in land-based pubs and casinos, but it is possible to apply it when playing online as well. In principle, with the “chickens” strategy, you need to split your money into several smaller amounts. Then, you play with each amount on one pokies machine (or online pokies game, respectively), and move to another one when the amount is over. When playing with each of those smaller amounts, you can apply whatever other system you want – up the steps, pattern play, etc. This is what makes the “chickens” strategy different from the “hit and run” betting system, where you are not allowed to increase your wager. As for the “squirrel”, it is also popular among those players who enjoy the different pokies casinos has in store. With this more aggressive variation of the “chickens” strategy, you need to stick to a pokies machine or a game as long as you are winning. So, considering that the “chickens” strategy provides some gaming variety, it is good for players who happen to be feeling more adventurous. Since it allows you to apply different secondary strategies, it will make your game more varied and interesting. Nevertheless, it requires careful budget planning and is perhaps a better choice for players with a larger bankroll. The “squirrel” variation on the other hand, is not as good pokies strategy choice. In principle, it relies on the fact that the player has entered a “hot” pokies machine cycle and that is why it requires the player to stick to the pokies machine or game in question. And yet, pokies are based on a random number generation, which has made it impossible for payout cycles to exist. In consequence, sticking to a pokies game only because it has paid several times in a row does not make that much sense, especially if you think that the game is not fun. So, when thinking about adopting a pokies strategy when playing the exciting game of online pokies, make sure that it will suit your gambling session budget. In addition, stick only to those betting systems which recommend some sort of a money management plan and stay away from any strategy based on the pokies payout cycle myth.